Do you believe in the power of dreams? Way down south on Marigny Street in the heart of New Orleans, the land of Catholic intercessions’, purgatory, and supernatural superstitions, young Evangeline Chenier dreams of a radiant boy who saves her from a storm. She takes the dream seriously – in her family, dreams are sometimes more than dreams. Sometimes they foretell the future. Sometimes they create it. Years later, Eva is no longer the same wistful girl but a hardened woman who no longer believes in dreams. Losing faith in her gift, she becomes lost in a nightmare of emotion, mourning her son, separating from her husband, and stewing in a dead-end job. And then fate brings her an unlikely surprise: one of the most famous movie stars in the world, Gabriel Roberts. Caught by something in his eyes, Eva agrees to show him the real Big Easy on his last night in New Orleans—an evening that turns into four dreamy days spent recapturing lost faith and discovering a love neither expected. Realizing Gabriel is the boy from her childhood dream, Eva must leave everything behind—her husband, her family, her history, and the beautiful city she calls home—and gamble it all for the dream that has saved her on MARIGNY STREET. 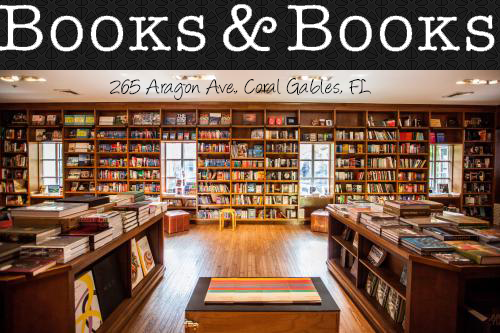 Born and raised in New Orleans, Annie has a habit of shortening her words and telling long stories. She speaks with a southern flair and cooks with it too. At the tender age of twenty- one, she hitched up her wagons (took her first plane ride) and moved out west to the big shake (California). 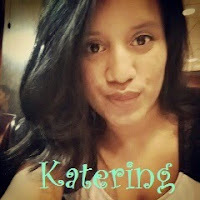 Her writing career began one sleepless night when she imagined a gorgeous woman and a man with maniacal hair floating above her like lightening bugs falling from the sky. 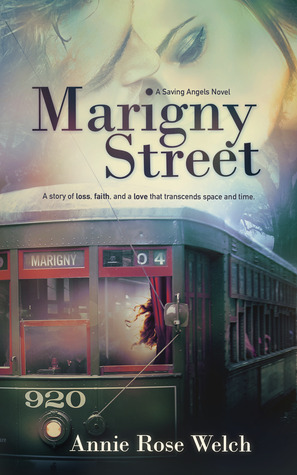 Curious about them, their story, and why they were floating around in her head, she sat down and penned (typed) her first novel, Marigny Street. A dream come true for her, she hasn’t stopped writing since. She loves a damn good love story, always has, no matter what the genre. She is particularly moved by imperfect love that in its own unique way is perfect, the notion of love at first sight, soul mates, and things that are generally out of the norm. 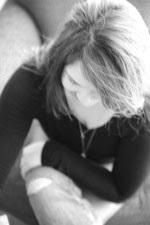 When she’s not writing she enjoys dabbling in photography and finding new, inspirational music to add to her collection. She currently (still) resides in the big shake (although her southern roots are calling her home) with her husband, daughter, and their two peculiar dogs, Boudreaux and Tabasco (who, call her crazy, bark with an accent). Marigny Street is an outstanding book. Full of romance and captures moments that will take your breath away. Welch has outdone herself with this book, fair warning get some Kleenex ready because you are going to need them. Evangeline has lost her unborn child and her marriage is going down the drain. She is not as she used to be she feels older and more tired. A crazy day at the court house and a lack of sugar makes her faint. When she wakes, she was being helped by Gabriel and at that moment she never expected how much he would change her life. After the chaotic meeting Gabriel decides to ask Eva out on a date and she without doubt say yes. Gabriel and Eva spend a lot of time together. She feels different with him, she feels happy. Her family could see how much she has changed thanks to Gabriel. She told him things that she couldn't let herself tell anyone. She was giving him a tour of New Orleans and having a great time, the best time that Eva hasn't have in a while. But something that neither of them where prepare for happened, they fall in love. Gabriel is an actor and he is just there for a few days and needs to go back to his life but he doesn't want to do it without Eva. So Gabriel asks her to go with him. Will Eva let her heart choose or she will let her mind?? Evangeline has had to go through a lot in her life. She has lost so much, but she got through it and became stronger. I truly enjoyed reading from her POV. I could honestly feel what Evangeline felt, she was such a relatable character and the way Welch described everything I felt like I was part of this amazing world. It makes me want to take a trip to New Orleans just to visit the places she talked about. Gabriel-Oh, Gabriel! !- he stole my heart. The way he talked to Eva and told her what he felt for her it just put me into tears. I just love him. Marigny Street will grab your attention as it will surely grab your heart. It's a love story yet it breaks your heart in the most amazing way. It's so well written and you will for sure be thinking about it for days.